Still areas that need clearing up if anyone else has a better memory/cares. Areas I am unsure about are marked ???. Killed crime boss Gangor Lor (alien with elongated head, wrinkly skin and large squarish teeth) and his cronies. Saved Maya from Imperial forces. Maya worked for Bail Organa of Alderaan, and told PCs of cargo they had to get to Alderaan. Maya died as PCs fought their way onto ship with cargo (which turned out to be an Alderaan security agent in carbonite). Traveled with Captain Sirona O'Keefe (beautiful, middle-aged, quiet, knows her way around the galaxy) and her co-pilot Crash (RX13 droid) on board The Banshee (a Brentaal space yacht) to Alderaan. 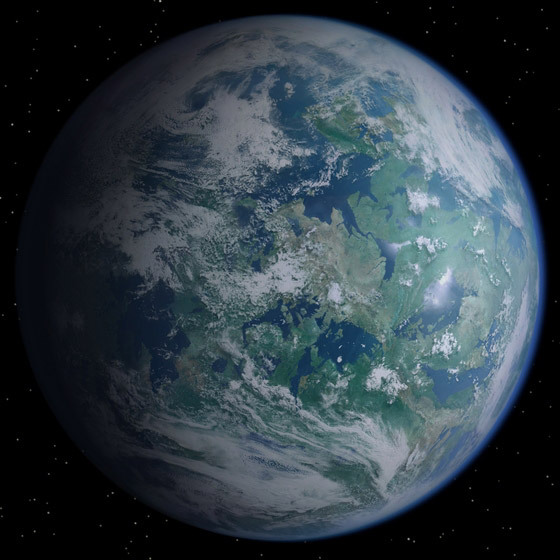 Aboard The Banshee PCs landed in the Royal Palace in the city of Aldera, met Senator Bail Organa and agreed to rescue his friends. Bail Organa sent PCs to Felucia to rescue Gilda Vaath (a former commander from the Clone Wars and Imperial officer), Lt Cartage, Shuba & Kara. ?? ?I think Bail only sent us for Vaath - others were prisoners we found later??? Fought and killed 3 Felucians, before the human Vazus appeared and helped quell the violence. Accompanied him to a village of the natives. He told PCs of increased Imperial activity of late and that ??? who we were after were likely prisoner(s) of the Imperials. Fight with Imps in fungi, found base, snuck in fought way out (could be wrong here - memory)??? Cartage & Shuba were killed in the rescue, but PCs got Vaath & Kara onto The Banshee. Learned Vaath was involved in The Sarlacc Project. A project costing many lives that the Imperial Navy was hiding from the Senate. Fake contractors and the criminal world were involved, including Daga, a Hutt. (Vaath had had dealings with Daga). Took Vaath to the Resurgence, a Nebulon B frigate ship captained by Adrian Verana. 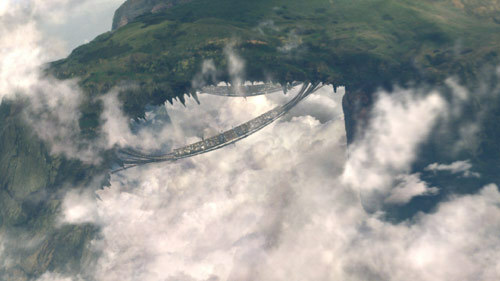 PCs landed in Zara (DB #12), a dilapidated city, seeking Daga the Hutt, who lived in ruins to the north. Got a lead on Daga's location from Kesra, the leader of a gang the PCs beat up (and healed two of them: Karak & Thimin). Followed lead to warehouse hideout of Vazus Mandrake (Devaronian) about 1km from Zara centre. Defeated his goons and PCs forced him to take them to Daga. * Daga apparently unaware of the dealings for the The Sarlacc Project….Yeah, right! Freed Jedi Master Denia from Daga's prison. 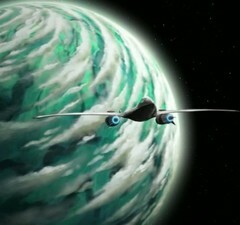 (She was fighting in Clone War here when Order 66 was issued - Daga probably captured for $). Returned to the Resurgence. Followed Daga to Bespin. Arrived in Bespin (DB #75) to find out a major Sabacc tournament was on. After the 'Yerith Bespin Hotel' (upper class) was booked out PCs settled into the 'Gensalon Hotel' (Room 37). Mandelbrock (head of security for Bespin Casino). Gamblers in big game: Creseeka (Rodian, friendly); Disan (slanted eyes, blue robe); Fatinna (Bothan); Lady Moranna (rich royal); Lt Armen Arandus (Imperial w scar across face, cool, disciplined, skilled gambler); Koroma Morrow (Twi'lekk, quiet, the one Switch wanted to win); Silus Draver (suave, long black ponytail, mou); Tolis Olver (local, Member of Parliament of Guilds (that ship his gas), drunk, a/c to ugnaughts); Venky (slanty-eyed); Vornzaday (f Neimoidian, working with Corma). Learned Tolis Olver was no longer employed a 'Member of Parliament of Guilds'. He believed ugnaughts were doing shady deals. Asidious the Imperial Star Destroyer was in orbit over Bespin, escorting The Shackles of Mizon (a transport) that sent a shuttle to bespin (then the Shackles jumper into hyperspace). PCs tracked a message from shuttle??? to Industrial area u357 Sector (not public) of Bespin. Turned out to be an office in the 'Parliament of Guilds'. (Later learned via a message from Jedi Inquisitor??? that Valen Draco (black robes) was on board. After confronting the ugnaughts, PCs learned: Daga was paying some ugnaughts to siphon off gas. Ugnaughts spoken too wanted this to stop b/c they were losing money and rep. They got the PCs into a gas bay/storage on the proviso that ugnaughts were not hurt. Code on Imperial security papers: 'Sarlacc 068524'. Apparently Imperial officer from shuttle was to take goods from Daga whilst tournament was on. (Imperials already on Bespin were not involved). Returned to The Resurgence again. On board, Jedi Master Denia sends PCs to Almas in search of a holocron (source of learning for Jedi) to learn more of this Sarlacc Project. 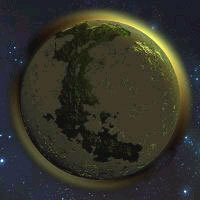 * Planet BG: In Coran System (surrounded by a comet field); most distant from twin suns - too far to light the planet; luminescence lights the surface, dark spot where Jedi Academy was supposed to be; icy, lifeless w large underground lakes; a massive plant overtook planet and poisoned atmosphere, but there is still trace elements of air; Jedi Master of Coran System was Lanius Quel Betuk (most likely dead). 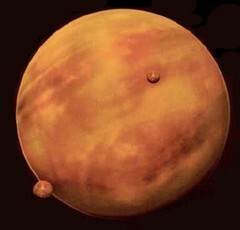 Mission Brief: Past Jedi students Ashka Boda & Helagod Ventor were working together to form a network of surviving Jedi. Possibly trying to establish an Academy on Almas??? Not sure where we came by this, how we know them??? As PCs entered Almas space, Redfury Pirates (burning claw symbol) led by Captain Redjack (mou, vibrorapier) attempted to raid their ship. 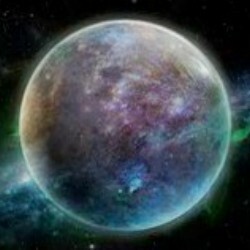 The PCs fought them off and the pirates fled to Almas's moon. Found Jedi Temple in ruins and severely 'tainted'. 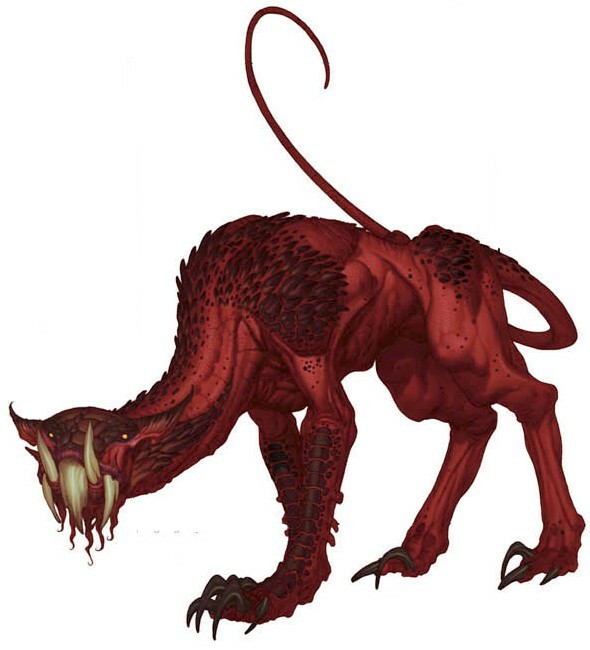 Stalking ruins were very rapid reddish-black cat-like creatures and a large 'wyrm-like' creature in halls??? (all memory here). Found Lanius's protocol droid - it believed its master was dead. Strange black blobs were 'animating' corpses of the primitive humans here. Had to deal with the blobs of dark matter. Taint of the place twisted thoughts and gave false visions. PCs even found themselves attacking one another??? (Memory again)??? Within temple were several 'tainted' locals (proto-humans) that were infected with 'rage'. PCs killed a few and then Zalee calmed one enough to converse with, but little could be learned and she sent it on its way. Morphing ghost-like beings also appeared, often taking the forms of enemies from the PC's past and present. Killed a Nighthunter (fast cat-like creature with long necks, that had been encountered earlier) by slamming into wall and Chido's grenades. These Nighthunters are apparently very resistant to energy attacks. Freed a twi'lek, Vhin' Thorla, from a force cage. He was very oppressed by the Dark Side and depressive. Shune tried to inspire him, but he spoke of the fallen jedi and 'The Inquisitors', including one called Darth Vader.